The purpose of dreams has been a subject of speculation for thousands of years. Greek philosopher Aristotle believed that dreams occurred because of residual movements of sensory organs, while psychiatrist Sigmund Freud theorized that dreams were a manifestation of repressed desires. Many of these early theories of dreams were disproved by the discovery of REM sleep in the 1950’s. 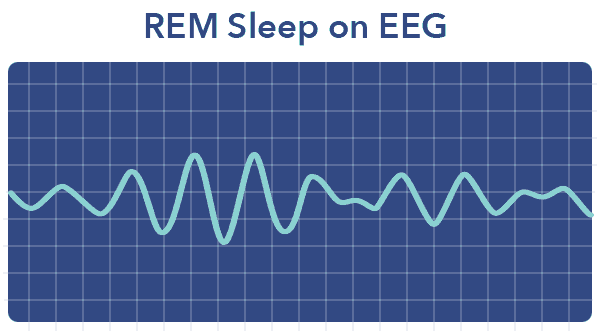 Dreams are now known to occur primarily during the REM stage of sleep, when brain activity is most similar to that of the wake state. Several theories of dreams have emerged over the last four decades, some as recently as a few years ago. Unlike early theories of dreams, newer theories are supported by substantial research, brain imaging, and other important advances in sleep science. The AIM theory was a direct repudiation of Sigmund Freud’s theory that dreams represented repressed desires, and had a strong psychological basis. (3) Dr. Hobson argues that dreams are not psychological in nature, but an attempt by the forebrain to create a narrative from essential neurobiological processes. 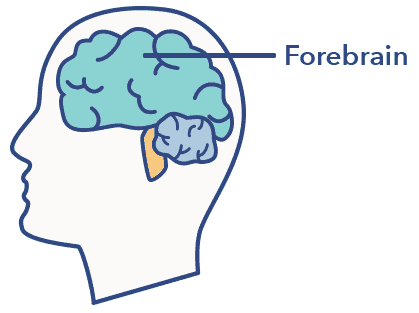 The forward-most part of the brain. The forebrain controls voluntary movement and the processing of sensory information, as well as emotion, speech, and abstract thought. Finnish cognitve neuroscientist Antti Revonsuo developed the Threat Simulation Theory of dreaming, which posits that dreams serve an evolutionary purpose and are directly related to human survival. In Revonsuo’s theory, dreams are a type of rehearsal that allow the brain to simulate fight or flight situations during the sleep state. 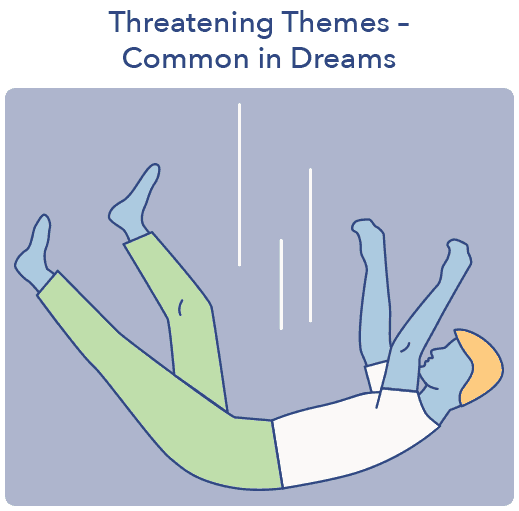 (4) Dreams may help the brain to prepare for threatening or dangerous events during wakefulness. Critics of the Threat Simulation Theory point out that there is no existing evidence of a positive evolutionary effect of dream simulation. It is also unclear if the outcome of dreams is impacted by any action by the dreamer. Still, there is strong support for the idea that a significant amount of dream content is representative of a threat, and may therefore be the brain’s way of rehearsing for situations that could put survival at risk. What explains recurring dreams? 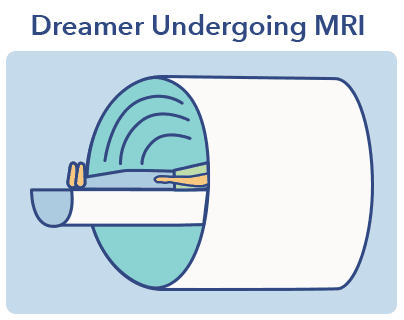 Research reveals that recurring dreams, dreams with a similar theme that occur repeatedly over months or years, typically involve negative content such as being chased or failing an exam, and may represent an unresolved conflict or a source of stress. The term for the increased level of left-hemisphere brain activity and alertness that takes place on the first night sleeping in new surroundings. The first night effect may result in decreased REM sleep, as well as less time spent dreaming. Dr. Hartmann believes that emotional processing occurs through dreams, diminishing their initial power and relegating them to memory, where they become less unique and potentially disruptive psychologically. This happens metaphorically, which explains why dreams are often only tangentially related to real life. In Dr. Hartmann’s view, dreams may allow for more efficient processing of emotion related to similar events, should they occur in the future. According to Dr. Hartmann, the ability to process events through dreams and store them in memory may have been particularly helpful earlier in human history, when death, loss, and other forms of trauma were more common. The expectation fulfillment theory suggests that dreaming helps resolve emotions and human drives not adequately expressed during waking hours. Researcher and psychologist Joe Griffin believes that dreams are metaphors that represent emotional “arousals,” instincts or feelings that may not be appropriate or safe to act on during the day. Dr. Griffin theorizes that dreams represent instinct patterns, or expectations, that need to be deactivated during sleep so that optimal functioning can be resumed the next day. 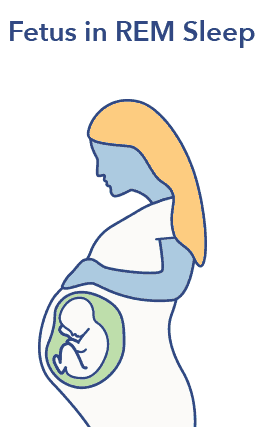 This may be associated with the purpose of REM sleep during fetal development, when human beings are programmed with survival instincts. This process creates certain expectations and connections that the brain continues to look for throughout life. In the expectation fulfillment theory of dreaming, dreams are metaphors for unfulfilled arousals and expectations. Because sleep does not involve the stimulation of waking life, dreams do not draw directly on motor or sensory activity, but on memory. This process creates the unusual imagery, narratives, and thought patterns characteristic of dreams. When does REM sleep occur? REM sleep begins approximately 90 minutes after sleep begins, and lasts about ten minutes. A night of sufficient sleep typically requires four cycles of REM sleep, each lasting longer than the previous REM cycle. This novel theory of dreaming is supported by extensive research conducted by Matthew Walker, author of Why We Sleep and professor at the University of California at Berkeley. Dr. Walker believes that sleep is essential not just for the healing of physical wounds, but of psychic ones, as well. Dr. Walker believes that only certain significant aspects of each learning experience become part of our dreams, and thereby assist in creative thinking and problem-solving. Dr. Walker believes that dreaming is much more than the brain’s attempt to make sense of primitive neurochemical functions during sleep. In his view, dreams have a psychologically restorative purpose. The nature of REM sleep, when noradrenaline is reduced and brain activity resembles that of wakefulness, may allow memories and emotions to be processed in a safe, low-stress environment, improving psychological functioning and emotional adaptation. We now know that the brain is more active during the dreams of REM sleep than at any other time except wakefulness. Far from resting in a dormant state, the dreaming brain continues to function at a high level. The question is, why? While no theory of dreaming has been proven definitively, recent advances in sleep science have brought us closer to understanding the purpose of dreams. Whether to prepare for threats or process emotions and trauma, dreaming appears to serve an important evolutionary function. That similar dreams tend to occur across cultures reveals the common themes that drive us even in sleep. Along with advances in neuroimaging and technology, interest in sleep health and dreaming has grown substantially. It may be only a matter of time before we discover why we spend a substantial portion of our lives in dreams.